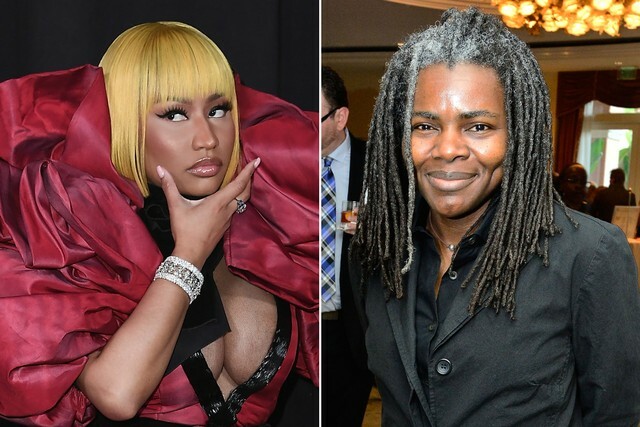 Nicki Minaj has responded to Tracy Chapman’s lawsuit accusing the rapper of infringing on the copyright of Chapman’s 1998 single “Baby, Can I Hold You.” Minaj, whose unreleased Nas-featuring song “Sorry” interpolates Chapman’s chorus, stands accused of leaking the track to Hot 97 radio host Funkmaster Flex, who played it during his show on August 11, one day after the release of Nicki’s latest album Queen, which did not feature “Sorry” because Chapman declined to clear the sample. Ripped versions of the song subsequently leaked online and remain available on YouTube. In Minaj’s response to the lawsuit, filed last Friday in California’s Central District, she denies leaking “Sorry” and claims recording the track constitutes fair use. While “Sorry” was never officially released, Pitchfork has reported that Chapman could still be entitled to as much as $150,000 in damages. You can listen to both tracks (play “Sorry” at .75 speed for the proper experience) below.